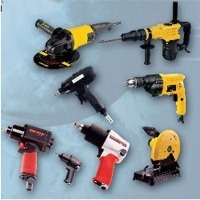 Browse tools-instruments suppliers by country and region. Short on time? 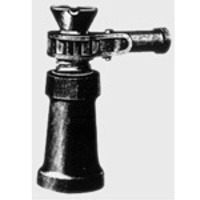 Let tools-instruments sellers contact you. 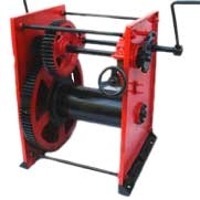 5 Ton Capacity Electric Winch. 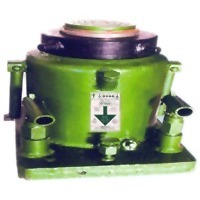 Motor CROMPTON/ GEC/ KIRLOSKER" Make Slipring Crane Duty Motor 960 RPM, 440 Volt, 3 phase, 1 Hr. rated 40% ED as per IS: 325 having 'B' Class insulation. 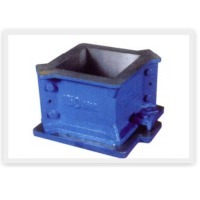 Drum Made from Rolled steel as per IS:226 of adequate thickness with side flange. Drum running on Bearing to take adequate rope length. Shaft Forged from EN-8 steel machine fitted with Drum. Chassis: Fabricated from joist of adequate size as per IS: 226 to take all shocks. All the stands on the chassis are Boxed type. 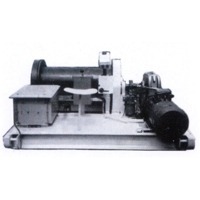 Reduction 1st Reduction: through Elecon/Radicon make worm reduction Gear Box totally enclosed running on oil. 2nd Reduction: through open machine cut Gear from carbon steel & pinion made of Alloy Steel duly heat treated. Break Electro Magnetic Hydraulic Thruster Brake of reputed make. Mechanical Bend Brake with screw system with Ferrodo Brake lineing. Extra safety Ratchet pawl arrangement on the side of the drum for not moving the drum in opposite direction for extra safety. Coupling We will provide flex. 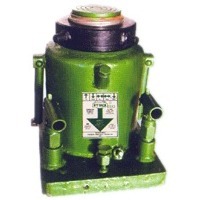 Brake Drum coupling on the out put of motor & Input of Gear Box. Flex. coupling pin type on the output shaft of the Gear Box & In put shaft of the pinion. Controls Drum controller of TAC Make 5/7 steps. Forward & Reverse mtio. Control panel in sheet in sheet metal Box for dust, heat & water resistance containing of : Isolator Overload Relay Contector Single phase preventor FuseHrc. Amp. Meter Voilt Meter (h) Neon Lamp Push Button for start & Stop Resistance Box 10 Minute rating. Wiring & Pairrting We will provide all wiring from weather proof ar mured copper cable of adequate size & the Winch will be painted by two coats of primer & Two coats of Grey paint. Operator seat We will provided operator seat by the side of controls. Note Speed of 5 Ton & 10 Ton winch is 8/1OMTS per minutes. General Description SKID Frame Type- Frame made out of heavy steel sections M.S. Drums M. S. Gear & Pinion. Teeth Cut on Gear Hobbing Machine for Perfect Pitch. Reduction through Gear Box and Bull Gear & Pinion. 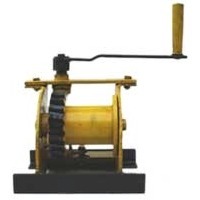 Hydraulic Thrustor Brake ElectroMagneticBrake Electro Magnetic Brake. 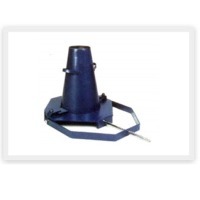 Manual Brake Carbon Steel Shaft A Safety Ratchet System All controls within reach of operator. Variable Speed Motor. Load & Speed as per Requirement of the Customer. 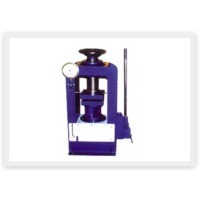 Detail required for submission by Customer Rope pull in Tons ( Capacity) Speed required Mtr./per Min. Rope size & Length required on Drum. Available Elec. Current supply. Description of Application. Other accessories required with. 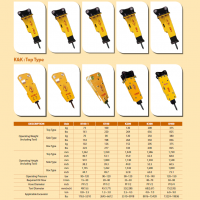 Hydraulic Jack: Screwed Ram Type Jacks: SR (Capacity: 125-500 Tons) Type SR-EHD 2/150 SR-EHD 3/150 SR-EHD 5/150 SR-EHD 8/150 SR-EHD 10/150 SR-EHD 12/150 SR-EHD 15/150 Capacity in Tons 125 150 200 250 300 400 500 Closed Height 360 360 400 400 400 445 500 Hydraulic Lift 150 150 150 150 150 150 150 Extended height 510 510 550 550 550 595 650 Ram Diameter 300 335 360 385 425 525 625 Base Size L*B 380*350 420*380 450*400 500*440 520*475 675*550 820*675 Approx.Weight in kg. 132 183 255 346 407 649 892 Designs &specifications subject to alterations for the sake of improvement without notice. All dimensions are in approx. mm unless otherwise stated. Other Features Widest selection of standard capacities Reliability through proved and accepted highest standard of quality product performance All critical components made from selected alloy steel and electrically welded for greater strength anf safety. Each product goes through a series of check and test to conform to Bureau of Indian standards and International Standards. Cylinders-Seamless steal Honed Tubes to DIN 2391-C, Grade 525/E-355, Stress relieved annealed yield strength Rp 0,2 min. Tensile strength- Rm min. 600 N/mm2 . Surface finish- Ra 0.3 ohms . Fast and easy maintence. Spares and Service readily and easily available. Screwed Ram with Safety Lock Nut for Additional safety and Unlimited Duration Load Holding Advantages. Advantages Simple in operation. Effortless, time saving and safe. Suitable carrying handle provided with each jack. 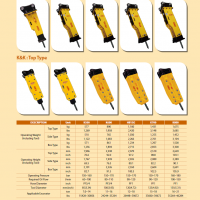 Capacity 25-100 Tons Hydraulic Jacks: Screwed Ram Type Jacks: SR (Capacity: 2- 20 Tons) Special Features Reliable Solid Compact Light Weight Simple Design Versatile Performance Type SR 2/120 SR 3/150 SR 5/150 SR 8/150 SR 10/150 SR 12/150 SR 15/150 SR 20/150 Capacity in Tons 2 3 5 8 10 12 15 20 Closed Height 205 235 248 248 252 252 260 260 Hydraulic Lift 120 150 150 150 150 150 150 150 Extended height 325 385 398 398 402 402 410 410 Ram Diameter 30 30 36 43 46 52 58 65 Body Diameter 65 65 72 86 90 98 112 126 Base Size L*B 115*115 115*115 125*125 150*140 150*150 150*150 170*170 180*180 Approx.Weight in kg. 5 6 8 10 11 12 16.5 22 Designs &specifications subject to alterations for the sake of improvement without notice. All dimensions are in approx. mm unless otherwise stated. Other Features Widest selection of standard capacities Reliability through proved and accepted highest standard of quality product performance All critical components made from selected alloy steel and electrically welded for greater strength anf safety. 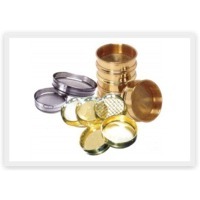 Each product goes through a series of check and test to conform to Bureau of Indian standards and International Standards. Cylinders-Seamless steal Honed Tubes to DIN 2391-C, Grade 525/E-355, Stress relieved annealed yield strength Rp 0,2 min. Tensile strength- Rm min. 600 N/mm2 . Surface finish- Ra 0.3 ohms . Fast and easy maintence. Spares and Service readily and easily available. Screwed Ram with Safety Lock Nut for Additional safety and Unlimited Duration Load Holding Advantages. Advantages Simple in operation. Effortless, time saving and safe. Suitable carrying handle provided with each jack. 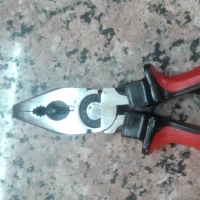 We are offering all kind of hand tools. Ningbo Zhenghai Jinyi Mechanical And Electrical Co., Ltd.
Highreach Measuring & Controlling System Co., Ltd.
Dry Oyster Mushroom, Mechanical structures, Tanks & pressure vessels, tooling & fixture, Trolley & pallet, Wooden pallet..